If you are looking for a skirting board design that is less commonly found then this is a great place to start. Because we are specialist manufacturers we are able to offer our customers a far greater range of options than large DIY retailers or timber merchants. In this section you can browse our skirting board designs that are either exclusive to us or more difficult to find from other suppliers. 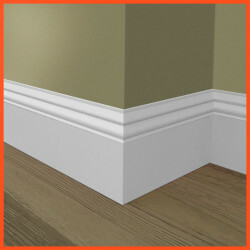 We get a lot of requests to recreate profiles that exactly match an existing skirting board design. Because of this we are continuously adding new profiles to our range, so this particular category is likely to grow as we become able to produce an even greater range. If you have a design in mind that you cannot see on our site, get in touch with our sales team and they will be able to provide detailed information about how we might help create your perfect skirting board from scratch.